Sometimes you happen upon a question that you want an answer to, and the answer you find raises more questions. That’s exactly what happened when we started examining Limited Liability Company (LLC) statutes from across the Midwest. Originally, we wanted to determine whether there are any significant legal differences between the LLC statutes of different states. While we may be based in Ohio, we find projects that examine how different states compare to one another on the same legal topic fascinating. The comparisons allow us to see trends and different ideas, and we had the chance to do this in our recently completed projects on CAUV and agritourism. Ultimately we found the Midwestern states to have functionally similar LLC statutes, with about half of the Midwest having adopted a uniform statute. When a state adopts a uniform statute, it intends for its law on a given topic to match those of other states with the same uniform statute. There are other examples of these like the Uniform Commercial Code, Uniform Probate Code, and more. Uniform codes are designed to make it easier for people to do business and live their lives across state lines. For Midwestern LLC statutes, even in states that have not adopted a uniform statute, the key elements are still very similar. The statutes have filing procedures for creating the entity, default rules for operating agreements, and rules that govern LLCs in general. When we answered our questions about the state statutes, we became curious about some of the benefits offered by using an LLC instead of some other business form. We found that LLCs offer great liability protection, with some specific limitations such as the application of piercing the veil from corporate law. Further, pass through taxation can provide great tax benefits and avoid double taxation. Since states allow operating agreements to be highly customizable, LLCs also provide a flexible entity structure that may be adapted to suit the needs of a business or family. That last word led us to another question: what benefits does the LLC structure offer a family farm in its estate and business transition plan? The previous three benefits are well known and thoroughly discussed; however, this last one, while done a lot in practice, is not commonly mentioned in academic writing. Ultimately, the benefits in estate and transition planning come from the flexible nature of the operating agreement. Once we learned about these benefits, the question arose of how common farming LLCs now are. Using data from the USDA’s Census of Agriculture, we found that by 2012, there were almost as many farms organized as LLCs as there were farms organized as corporations, while the vast majority of farms remained owned outright by individuals with no formal legal entity. We are waiting for the next Census of Agriculture to spot any trends, because 2012 was the first year that farms were asked to identify whether they were organized as LLCs. Throughout the paper, we made some observations and predictions for what we expect to see in the future. We are also history buffs, so of course there had to be a section on the origins of the LLC, and why Wyoming was the first state to adopt an LLC statute. It is an interesting and dramatic history that we had not heard about before. 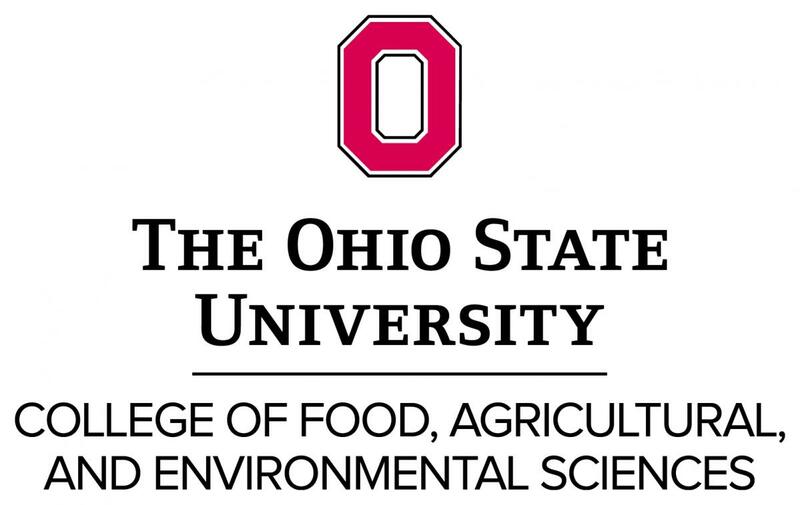 Our project examining farm LLCs is available on our OSU Extension Farm Office website HERE, as well as the National Agricultural Law Center’s website HERE. This material is based upon work supported by the National Agricultural Library, Agricultural Research Service, U.S. Department of Agriculture. The Ohio legislature has approved a repeal of the Ohio estate tax, but the tax will remain in effect for another 18 months. The new law removes the Ohio estate tax obligation for any person who dies on or after January 1, 2013. Governor Kasich signed the provision into law on June 30, 2011 as part of the state’s budget package. The final version of the repeal differed from the language proposed earlier this year in H.B. 3, which proposed ending the estate tax as of January 1, 2011 (see our earlier post). A bill introduced in the Ohio House of Representatives proposes a complete repeal of the Ohio estate tax. Representatives Grossman and Hottinger introduced H.B. 3 on January 11, 2011. The bill is simple: it amends the estate tax provisions currently in Ohio law to state that the tax provisions apply only to estates of persons who died before January 1, 2011. Regardless of when the bill would become effective, persons dying after January 1, 2011 would not be subject to the estate tax. The bill also removes the estate tax return filing requirement for estates of persons dying after the January 1, 2011 date. The Ohio estate tax is a graduated tax on a person’s gross taxable estate, less deductions and exemptions. An estate valued at less than $338,333 pays no tax due to credits and exemptions included in the law. Estates between the value of $338,334 and $500,000 pay a 6% estate tax while estates over $500,000 in value owe a 7% estate tax. The state receives 20% of the estate tax revenue and the local government of the decedent’s residence receives the remaining 80% of the tax. Ohio is one of 17 states that have an estate tax. How is agriculture affected by the Ohio estate tax? It’s not uncommon for a farm estate to be valued at the taxable threshold of $338,334. However, qualifying farm properties that elect the special use valuation option in the estate tax law can further reduce the taxable amount of the estate up to an additional $500,000. The special use valuation election provides that qualifying farmland will be valued at the lesser Current Agricultural Use Valuation amount; qualifications for the election relate to keeping the farm in the family. Sound planning and proper use of special use valuation thus can reduce the Ohio estate tax burden for farms that intend to continue the farm business after the loss of an active farm family member. The idea to repeal the estate tax is not a new one; several prior attempts have not met with success. A bill identical to current H.B. 3 was proposed last year, but the bill never made it out of the House Ways and Means committee. Will the change in Ohio’s elected officials yield different results? The current House Ways and Means committee will hear sponsor testimony on the H.B. 3 at its hearing on January 26, 2011.View H.B. 3 here. Transition Incentives Program aims to help new and disadvantaged farmers obtain land. The Farm Bill’s new Transition Incentives Program (TIP) is now available in Ohio. The addition to the Conservation Reserve Program (CRP) will provide rental payments to transition CRP land from a retired farmer to a beginning or socially disadvantaged farmer who returns the land to sustainable production. TIP received $25 million in funding from the 2008 Farm Bill. Program supporters hope the funds will enable beginning and socially disadvantaged farmers to obtain affordable land for agricultural production. The CRP landowner must be a “retired” or “retiring” landowner. The CRP contract must expire on or after September 30, 2010, but there is an exception for certain contracts that expired in 2008 and 2009. The landowner must enroll all or a portion of the CRP land in TIP by the enrollment deadline. Contracts expiring in 2010 and eligible 2008 and 2009 contracts must be enrolled by September 30, 2010. Later contracts must be enrolled during the last year of the contract. The new or socially disadvantaged farmer or rancher must develop a conservation plan for the TIP land. By October 1 of the CRP contract expiration year, the landowner must agree to sell or lease (for a minimum of five years) the land to a non-family “beginning” or “socially disadvantaged” farmer or rancher and must allow the farmer to make improvements on the land in accordance with the approved conservation plan. The beginning or socially disadvantaged farmer must return the land to production using sustainable grazing or crop production methods. The beginning or socially disadvantaged farmer will be eligible to enroll the land in continuous CRP, Conservation Stewardship Program or Environmental Quality Incentives Program, with a waiver of the provision requiring 12 months of continuous ownership. The landowner will receive up to two additional CRP annual rental payments if all TIP requirements are met. A “retired or retiring” owner is one who has ended active labor as a crop producer, or plans to do so within five years of the TIP arrangement. A “new or beginning farmer or rancher” is one who has been farming for less than ten years and who will materially participate in the operation of the TIP land. If an entity, at least 50% of the entity’s members or stockholders must meet the ten year, material participation requirements. A “socially disadvantaged farmer or rancher” is a member of a group that has been subject to racial or ethnic prejudice. Examples include American Indians, Alaskan Natives, Asians, Asian-Americans, Blacks, African Americans, Hispanics. Unlike other federal programs, this definition does not encompass gender prejudice; hence, women do not qualify as socially disadvantaged for purposes of the TIP program. A few questions arise when considering whether there will be interest in TIP. Are there sufficient incentives for the CRP landowner to transition the land, are there connections between CRP landowners and beginning or socially disadvantaged farmers, and how will the rental payment affect the purchase or lease price for the land? Ohio will soon have an indication of program interest, with the first enrollment deadline of September 30, 2010 quickly approaching. For more information on TIP, visit the FSA site. Since 2000, Ohio law has allowed property owners to avoid the probate process with a transfer on death deed, a deed that automatically transfers real property to a designated beneficiary upon the death of the property owner. Under a new Ohio law, such transfers now require the preparation of an affidavit rather than a transfer on death deed. The new law also allows those who hold “survivorship rights” in property to transfer their rights upon death, which the previous law prohibited. The changes occurred in S.B. 124, which became effective upon the governor’s signature on December 28, 2009. The Ohio State Bar Association’s Real Property Law Section proposed the changes to simplify the transfer on death process and remove confusion over the rights of those holding survivorship deeds. See the bill and its changes to Ohio Revised Code Chapter 5302 here. The Legislative Service Commission’s analysis of S.B. 124 is available here. Visit this website for a good summary of the law. One “trust mill” is on its way out of Ohio, thanks to a recent ruling by the Ohio Supreme Court. On October 14, 2009, the Court issued a hefty $6.4 million penalty against American Family Prepaid Legal Corp. and its affiliate, Heritage Marketing and Insurance Services, Inc. The Court barred the companies from doing business in Ohio. The California-based companies targeted elderly Ohioans by offering a full array of estate planning services that would allegedly minimize estate probate costs. Non-attorney salespeople contacted elderly persons and marketed a $1,995 prepaid estate plan, which essentially amounted to one living trust. Upon delivery of the living trust to client homes, the salespersons also marketed insurance products. The sales were high-pressure, according to the Court. Credit must be given to the Columbus Bar Association for pursuing the case. After receiving repeated complaints about the companies, the CBA investigated and determined that the companies were condoning the unauthorized practice of law. While an attorney in California drafted the trust documents, non-attorney salespersons interacted with the clients, provided legal information, and answered legal questions. A misfortune of the case is that the companies have declared bankruptcy and ceased operations. The Columbus Bar Association is exploring whether it can collect the fine from another insurance company owned by the father-son team behind the defunct companies. The CBA hopes to distribute any amounts it collects back to victims of the trust scam. To read the court’s opinion, visit here.